This year marks 260 years since the birth of Count Alois Joseph (175–1833), the most important ecclesiastical representative of the Kolowrat family. He first studied religion in Prague and then in Rome, where he obtained a doctorate in theology. 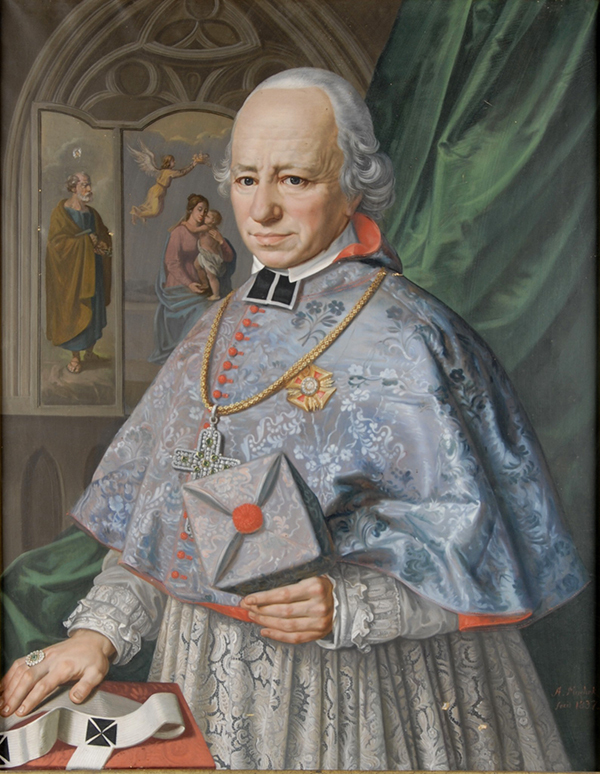 He began his career in Olomouc, where his abilities allowed him to quickly progress to the post of auxiliary bishop (1801–1812). In 1812, Alois Josef took on the role of Bishop of Hradec Králové. His appointment was confirmed by Pope Pius VII in 1815, which is unusual, in that a bishop is almost always recognized by the Pope a few days after being appointed. His greatest success in Hradec could be considered the implementation of the compulsory study of the Czech language and literature at the theological seminary there, which led to the independence from the Prague seminary in 1830. He proved to be a good administrator and steward, as under his leadership, the reconstruction of the Chateau of Skály u Police took place, as well as of several sacral buildings, took place, along with the expansion of the episcopal library. 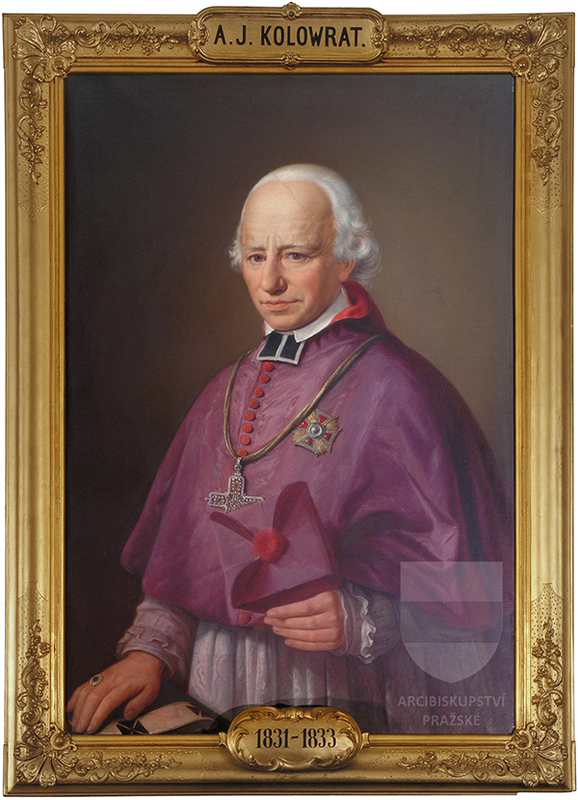 In 1830, he was appointed Archbishop of Prague (1830–1833) by Emperor Francis I. His intronization took place with the consent of Pope Gregory XVI on April 17, 1831 in the Cathedral of St. Vitus. Due to serious health issues, the count was forced to administer the Archdiocese through the Assistant Bishop of Prague. His episcopate was marked by large epidemics of cholera. That is why a number of monasteries were transformed into hospitals, and the Archbishopric led by Count Kolowrat-Krakowsky organized effective help for the afflicted.